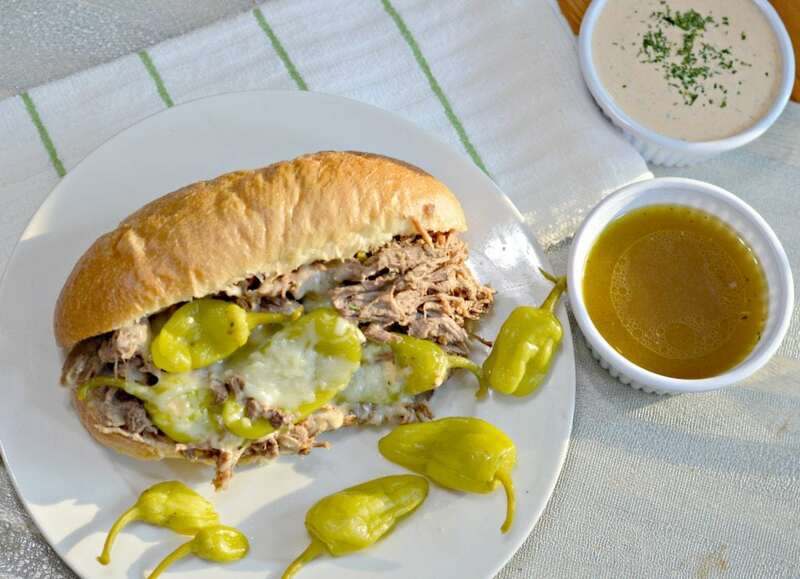 Slow Cooker Italian Beef Sandwiches are one of my favorite weeknight meals. I can just put the meat in a slow cooker a few hours before it is time to eat and everyone loves them. 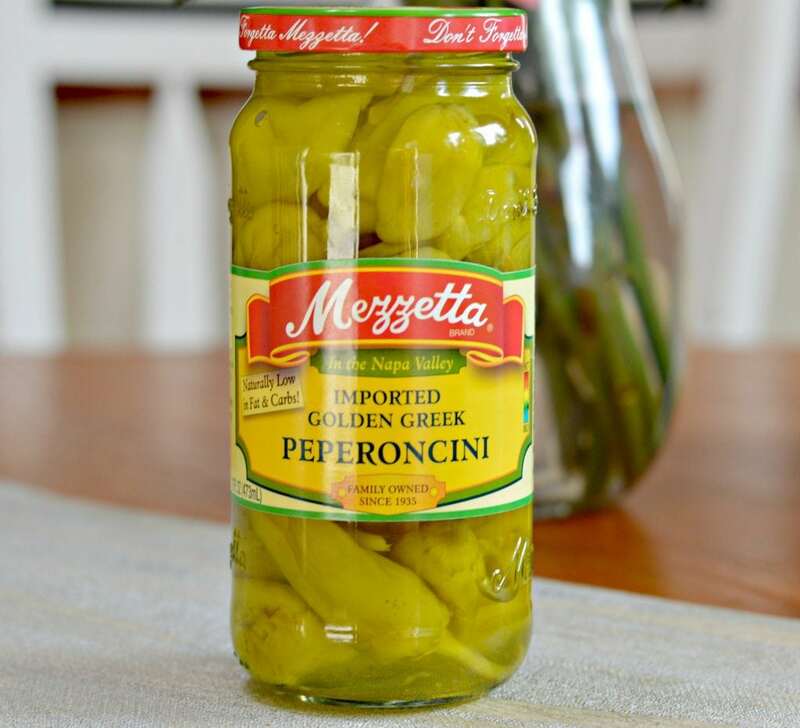 This slow cooker Italian beef sandwich recipe is so easy to make and you will love the addition of Mezzetta whole peperoncini. This is one of my favorite peppers to add to sandwiches because they have a very slight kick to them, and are also sweet and crisp. They add the perfect flavor to this recipe and many others. Right now, you can enter here for a chance to win 52 meal kits from Chef’d. Even if you don’t win the grand prize, you can win a $50 Chef’d gift card, so enter now! 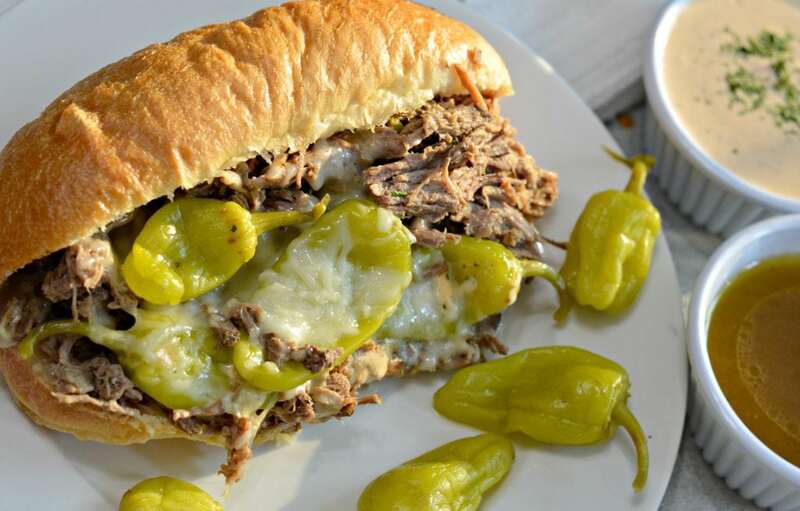 Not only do I use the peperoncini as a garnish for these slow cooker Italian beef sandwiches, I also use add the whole peppers and the liquid that they come in while I am cooking the beef. This adds a great flavor to the sandwiches that is hard to resist! The Italian beef that goes on the sandwiches really reminds me of one of my favorite meals from back in Mexico – beef barbacoa. It is also a a beef dish that is slowly cooked so that all of the flavors combine and then shredded and served on tacos, sandwiches and more! It is interesting that so many different cultures come up with recipes that are so similar even though they may be thousands of miles apart! When I made this slow cooker Italian beef sandwich for dinner tonight, my husband was so excited. We love to take the tender beef and put it in a frying pan before topping with cheese. We then cover it up for a few minutes so that the cheese melts before adding it to the soft rolls. A lot of people love to dip these sandwiches in the sauce that it is cooked with, and I am no different! This sauce is amazing and I love dipping the sandwiches in it. My husband, on the other hand, prefers a more creamy, spicy sauce. I usually make him my favorite chipotle crema, made with greek yogurt and chipotle peppers (recipe coming soon!). That goes well with an Italian beef sandwich as well. 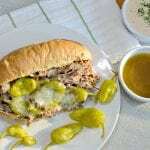 I hope that you enjoy this slow cooker Italian beef sandwich as much as my family and I do. Let me know in the comments below how it turns out! 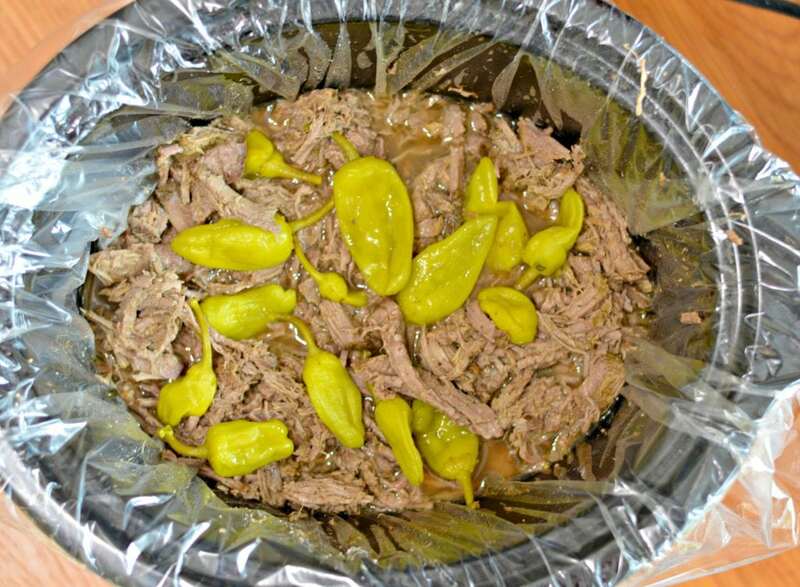 Why do you put a liner in your slow cooker? Hi Susan – I use the liners sometimes because it really makes clean up quite a bit easier since you just remove the liner when you are done and throw it away. OF course it isn’t 100% necessary, but I do like to use them when I remember. Hi Charbel – What cut of beef do you use for this? I’m thinking either round or chuck, but they will produce very different dishes, and I this sounds so good that I want to try it soon! Hi Bonnie – Thank you for your comment. I think round or chuck would both work, but for this one I did use chuck and it turned out really well. Good luck and let me know if you have any other questions. Thanks!